Jobu weighs in on Roger Clemens’ most recent comeback. 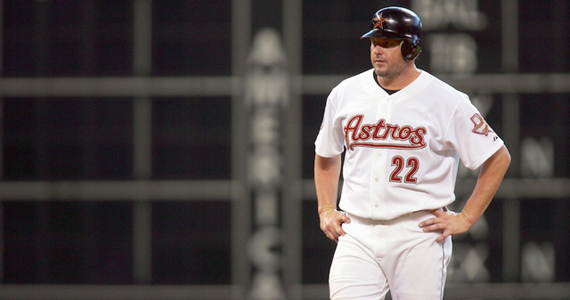 I’m not sure if you have all been paying attention to the latest Roger Clemens Saga. We’ve covered The Rocket’s exploits here and there since his unofficial (I guess) retirement. Mostly, I’ve just wanted the 50-year old buffoon to go away and retire like a normal person, but I have changed my tune in recent weeks. Now, I just want him to pitch for the Astros tomorrow, so that he can get what he wants and leave us the hell alone forever. So what, exactly, does Clemens want? Rumor has it that the portly pitcher wants to pitch in the majors one more time so that he can push his Hall of Fame eligibility back another five years. Why? Because he thinks that, in five years, we’ll all have forgotten the fact that he probably did a ton of steroids. He also thinks we’ll probably have forgotten that the government wasted thousands (maybe millions?) of tax payer dollars unsuccessfully prosecuting him for lying to the grand jury about his cheating. I mean, that just might be crazy enough to work, right? Anyway, over the last couple of weeks Clemens signed with the Sugarland Skeeters of the independent Atlantic League. He has, so far, pitched in two games. In one of them, he even brought his son (whom even less people care about) to catch for him. The story was that Koby had asked for his released from the Toronto Blue Jays organization so that he could catch his dad, but I get the feeling the Jays probably didn’t need much of a reason to cut the younger Clemens. Either way, Roger got the team that he somehow convinced to sign him to acquiesce to his request for nepotism too. I wonder whose roster spot Koby took? Does anyone care? Probably not the Clemens Clan. The rumblings that the Astros might sign him to pitch a game for the big league club started pretty much before he even suited up for the Skeeters. The Astros, who apparently aren’t big enough jokes already and need to get rid of their very last shred of dignity and self respect, really seem to want Clemens to start a game for them. Is it because of loyalty? Is it because of honor? Is it because only 1,100 households watched the las Astros game on television? I think we all know the answer to that question. Plus, he has held guys who aren’t even good enough for A-ball scoreless for eight innings in his two starts… ah? ah? Actually, the big argument has now become not if Clemens has what it takes to pitch for the Astros, but who his possible opponent might be. I don’t think the Astros, or Clemens for that matter, even care if he can get a major league batter out at this point. Astros owner Jim Crane has said that he’d be willing to sign The Rocket, but only to pitch against a non-contender. Rocket, meanwhile, has said that he would only pitch against a contender so that he could knock someone out of the playoffs with his 88 mph fastball and his nasty liverspot ball. Really, it’s all a joke. Everyone in the world knows the Astros are desperate for any positive press after systematically dismantling their team over the last two seasons. As they prepare to move to the American League in 2013, where I’m sure they know they’ll be even worse than they are in the National League this year, they need one more big attraction to try to squeeze some money out of the Houston faithful before the season ends. As misguided as they might be in their search for publicity and money, Clemens would definitely put some buts in the seats and generate a lot of television viewership. The people that live with their heads in the sand and miss the Rocket (probably the same people that mourn the firing of Joe Paterno) will watch to catch one more glimpse of their hero. Everyone who hates him, myself included, will tune in hoping the Rocket blows up on on the launching pad. Either way, if he gets one start with the Astros this season, we don’t have to hear from him again until 2017, when i’m sure he’ll either cry about not getting into the Hall of Fame, or pitch one more game with Houston to push his clock back five more years. So, in closing, please Houston. You have nothing left to lose. Throw the rest of your self respect out the window and give the people what they want. Roger Clemens to go away forever. If not, we’ll have to hear about this all off-season too. It’s the Sugarland Skeeters. I’m guessing whoever got cut isn’t a Crash Davis in waiting. Also, you KNOW anyone related to Clemens has to have a huge ego, so I bet Kobe, or Kookie, or Krabby, or whichever one of the seven dwarves he is, had this whole speech ready to justify his decision to the Jays, how important family was, and all this, because he figured they would put up a fight about losing him. And he probably didn’t get to say any of it because they cut him off halfway through the first sentence to tell him yes.